Unlike other new smartphones, the launch of the new Apple® iPhone 7®, poses a challenge to the entire mobile ecosystem. If you haven’t heard, this is because Apple has completely removed the traditional 3.5mm headphone jack in its newest device – the iPhone 7 – in favor of a single Apple Lightning® connector. 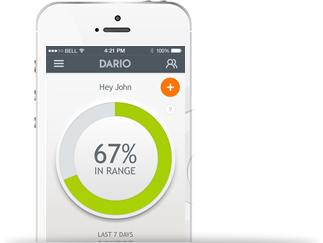 Though pending submission to and clearance by regulatory agencies in the US, Canada, Europe and Australia, DarioHealth is proud to adapt and develop a fully functional product for this newest model. As you can see, the product remains exactly the same for users: sleek and highly accurate. 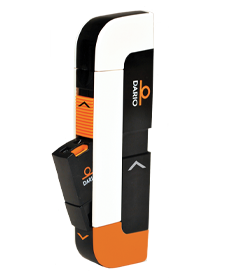 DarioHealth plans on completing testing its flagship product – the Dario™ Blood Glucose Monitoring System for compatibility with the iPhone 7 using the Lightning connector. At that time, the product will be submitted to the U.S. Food and Drug Administration and other applicable regulatory agencies for regulatory clearance. DarioHealth is committed to working closely with current customers who are affected by this. Our courteous customer support team is available if you have any further questions. Disclaimer: This product is in development only and not commercially available; pending submission and approval from regulatory agencies. Apple, iPhone and Lightning are registered trademarks of Apple Inc.